By way of confession, a fear of “just another rock musical” kept me away from Bohemian Rhapsody. Wrong on all counts. Within minutes of its opening, this movie captures hearts, including mine. Terrific acting, directing, writing, and design all mesh to make it original. Given some serious human problems that crop up, it never once turns melodramatic as it would in other hands. The deep loyalty and friendship of the five carries them on their march to growing audiences while we in the audience are hoping these great friendships that are producing their success will endure. All five pour their originality, their talent, and their energies into performances that swell as they sing around the world. 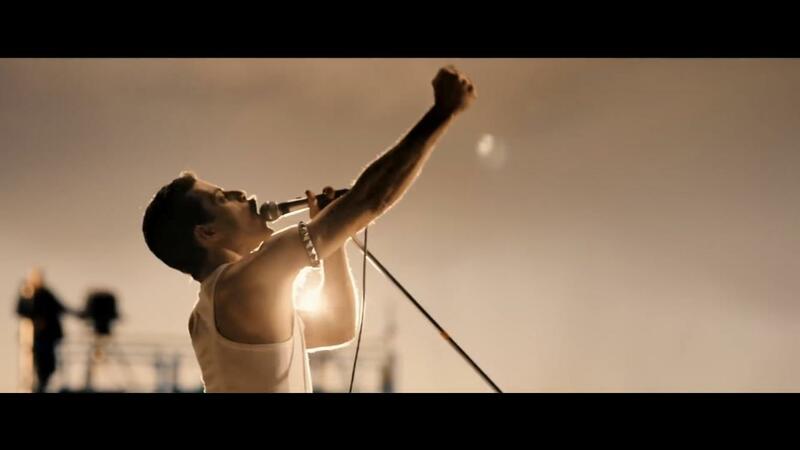 At that high point, Freddie decides to break away in a burst of wanting new music and a new life. He leaves his friends in possession of their unique musical talents but without the crazy excess and originality he brought to the group as their leader. He realizes he is gay, a point at which we begin to appreciate the terrific performance being given by Lucy Boynton as his up-to-now girlfriend, Mary. The talent of the group is still there but Freddie’s razor-sharp originality is gone. His absence yells loudly that he was not just a superb musician but a guy with a head loaded with qualities that explode unexpectedly on his bandmates as well as on audiences. This is exactly where the wisdom of the writers and director win the day. Instead of lingering on the details of the messy misfortunes, they deliver them without dwelling on them. That is very rare in an industry that thrives on personal troubles. It leaves us free to absorb Rami Malek’s extraordinary creation of Freddie Mercury. Finally, we are right there with an audience of thousands in London’s Live Aid concert in 1985 as they roar their excitement at Queen’s performance that soars under the sudden explosion of their returned leader Freddie Mercury. Along with them, we sit in our seats enthralled by Freddie and the effect he has on the men who are playing with him. The cameras scan the thousands in the audience and we in the theater feel the thrill of it – of their music and their performance. The makers of this movie knew exactly how to convey not the lives of these men but the reality of their chaotic musical brilliance. This review was posted on December 16, 2018, in Biography, Drama, Musical. Juliet, Naked blooms slowly in the hands of four appealing performers who work with a thoroughly oddball plot. As they develop their characters, the movie turns into a genuinely pleasant trip. 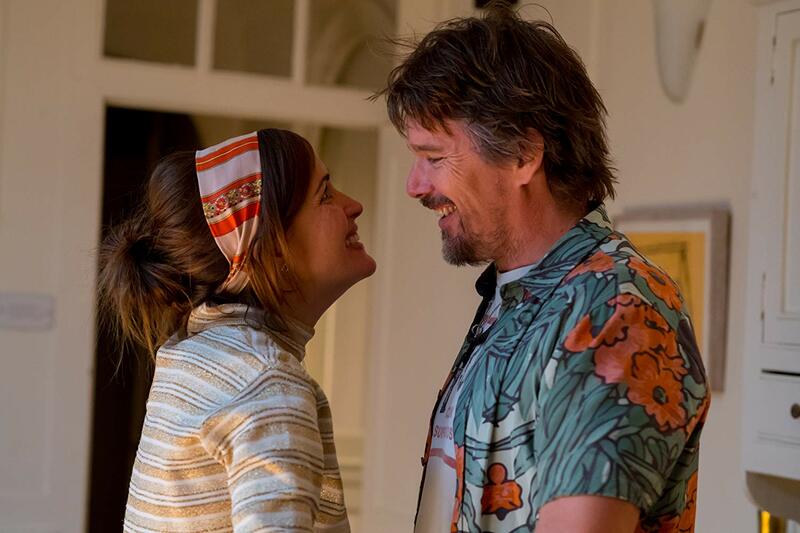 The title is the name of a play by songwriter Tucker Crowe (Ethan Hawke) who disappeared twenty years ago at the height of his career. Duncan (Chris O’Dowd) has covered the wall of his study with pictures and articles about his songster hero. When a CD by the lost singer arrives in the mail, Duncan is enthralled while Annie (Rose Byrne), his housemate, thinks the song is ludicrous – enough so that she sits down and writes a negative review to Tucker Crowe who is intrigued and responds. As we meet them early on, none of the three is especially happy. Tucker, in recovery from two decades of alcoholism, is being nice to a bevy of women and the children he fathered with them. Annie is disappointed in life with Duncan who seems interested primarily in himself and in his passion for Tucker Crowe’s music. Tucker is atoning for his past by being a genuinely kind father to Jackson (Azhy Robertson), a bright, interesting little boy who loves him. As this reformed fellow tries to figure out what to do with the rest of his life, we follow the gang with increasing interest. Because it’s clear that these adults haven’t the faintest idea of how to design new lives, we settle in to enjoy them for who they are. Rose Byrne makes Annie a kind woman living with a man she doesn’t much care about. Ethan Hawke wraps Tucker in the confusion of looking up the women and children of his dalliances. Chris O’Dowd sets Duncan in a pleasant but boring cloud of confusion. If all this sounds dull, it isn’t. Once we understand that these three have no idea of how to redesign their lives in middle-age, we begin to enjoy their search. There’s not a villain in the bunch and we begin to understand them and root for them in their dilemmas. The one who doesn’t need our help is Azhy Robertson’s Jackson who is thoroughly happy just to be living with the father who loves him while he peppers the movie with intriguing questions and observations. Chris O’Dowd builds a nutty professor with an odd passion without alienating the audience while Rose Byrne paints a touching portrait of someone who thinks she should be happy but isn’t. In a nice footnote, if you wonder why Rose Byrne is always carrying something in front of her or wearing flowing clothes, the reason is, of course, that she is pregnant in real life. Ethan Hawke creates a thoroughly appealing nutcase who did all kinds of bad things while he was drinking and now is open to his new life as long as nothing takes him away from his son Jackson. The movie is an appealing slice of the change of direction that is such a hallmark of middle-age. This review was posted on September 16, 2018, in Comedy, Drama, Musical.